Considerable importance is given to hands-on training on computers in this program. Candidates need to do these practical exercises under the guidance of faculty, major part of the contact hours will help you in understanding the subject. Petrocon Offers n number of practical problems applicable in the industry. Study material for all subjects. Will also be held at the centers. To enable the candidate to gain an insight to independent working on a practical project. After the successful completion of training ,we will help the candidates with Demo Interview sessions & Personality Development. We assist the students to our clients and guide them for placements. Petrocon Institute Of Piping Engineering are Delivered inhouse premises of Petrocon. Petrocon Institute Of Piping Engineering provides wide range of Out-House Trainings made to Customer requirements to different levels, for technicians, engineers & managers to Oil & Gas Design, Construction & Engineering Sectors. 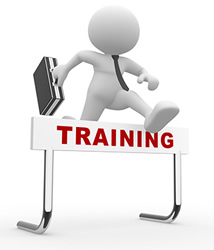 Each organization has its own training needs and requirements. PIPE offers in-house trainings in a variety of fields like Engineering / HSE / Civil and Management.